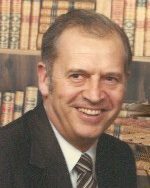 John C. Bennett, 89, of Swansea, IL, born February 6, 1929, in Wheeling, WV, died, Tuesday, January 29, 2019, at his residence. Mr. Bennett attended Davis & Elkins College in Elkins, West Virginia. He received his bachelor’s in Mining Engineering. He was the president of Peabody Coal – Illinois Division, before his retirement. He was preceded in death by a son, William Matthew Bennett; a grandson, Zach A. Melvin; a great-grandson, Mason A. Schmittling; and his parents, Matthew and Martha, nee Synder, Bennett. and four great-grandchildren Madeline E. Wasserzieher, Andrew C. Williams, Olivia R. Williams, and Gracie E. Williams. Cremation was held and private burial will be in Elkins, West Virginia. I am so sorry for your family's loss. I know he was a loving man, I heard many stories about him from Zach and Mason. They both adored him. Our deepest sympathy are extended to your family.